iDR-Switch OVERVIEW iDR-switch extends the capability of the iDR-8 and iDR-4 by enabling custom wall plate and remote equipment control. 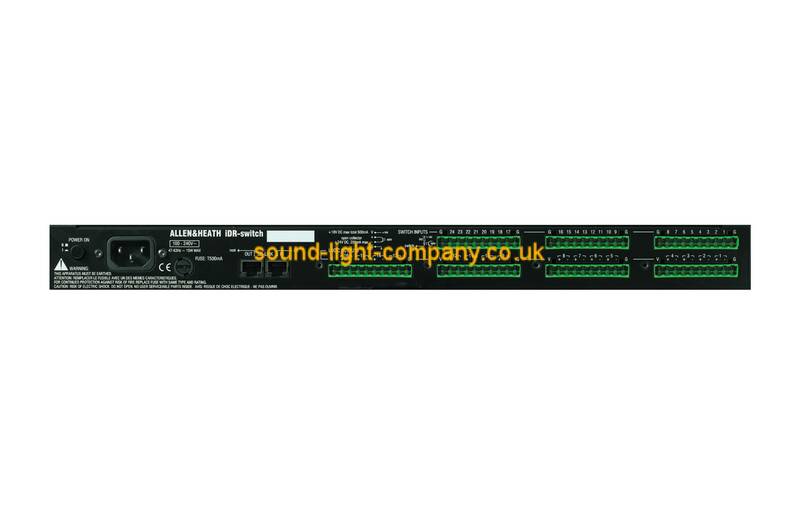 It provides 24 switch closure inputs and 16 logic control outputs which can be custom wired by the installer to suit the application. Up to 3 units can be connected, so providing an iDR unit with 72 switch and 48 logic outputs. The controls are easily programmed using the System Manager software.